Surprise! Isn't this super exciting...two Sweet 'n Sassy releases in one month! And oh, my did I have a great time playing along with these new dies...can't wait to share!! Let's get started! My first card features the new Shapes dies and wow...think of all of the possibilities with this set! When I first saw the set, the first shape that popped out was the petal shape and I instantly knew I wanted a flower but what paper to use? That's when the light bulb went off! I've been hoarding a boatload of paper towels that are covered with Dylusions Ink Sprays (I use the paper towels to blot off excess ink). The colors are just amazing and blend so well together that I never wanted to toss the towels; knowing I'd use them eventually. So I cut out a whole bunch of petals from my paper towels, punched out a circle as a foundation for the petals and started gluing! The I just added a button to finish the flower. Then I twisted some ribbon to make a stem and added to more petal shaped die cuts as leaves. The cherished friend sentiment is from the Long Stem Silhouettes stamp set. Fun, fun, fun! 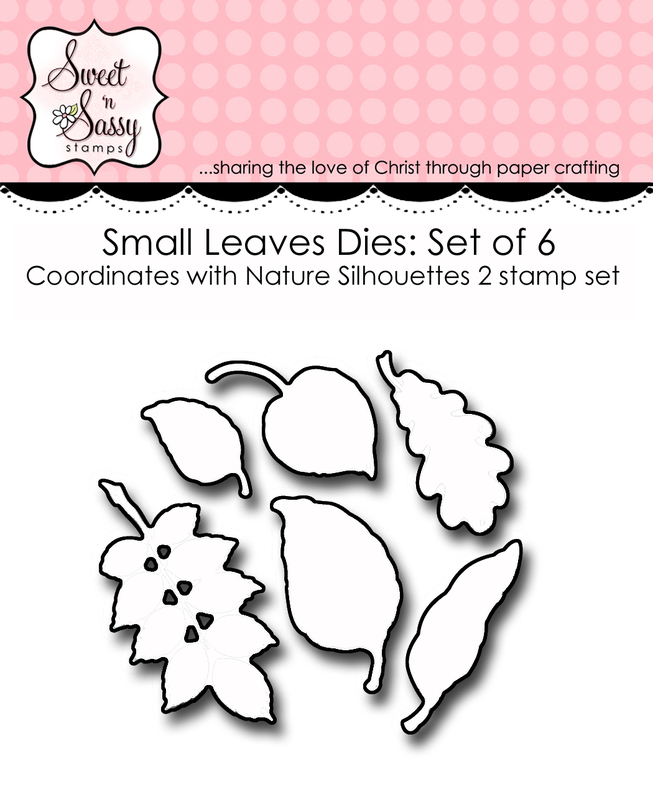 My next card features the super fun Small Leaves die set (and a sentiment from the Season of Change stamp set). I started by spritzing a few Dylusions Ink Sprays onto a piece of plain cardstock (and then created more of that custom paper towel paper...for later...) and attached it to my card base. 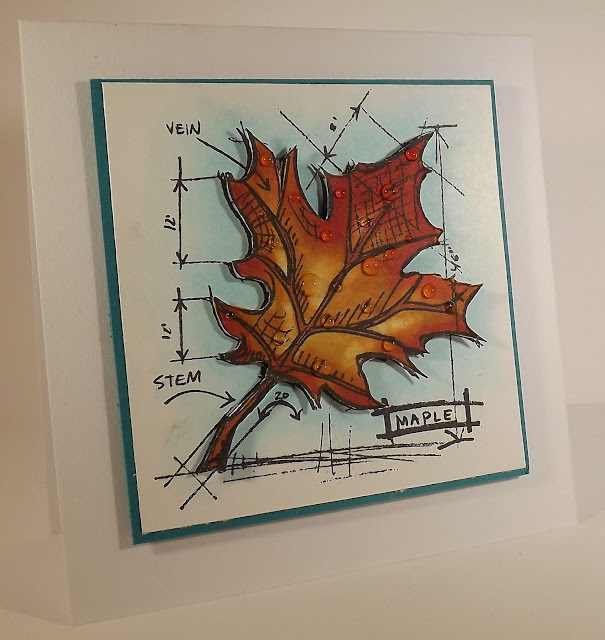 Once the leaves were cut out, I ran them all through an embossing folder, and attached them to my card with foam tape. Easy peasy! This is a great quick and easy layout for just about any image, die cuts, or design! 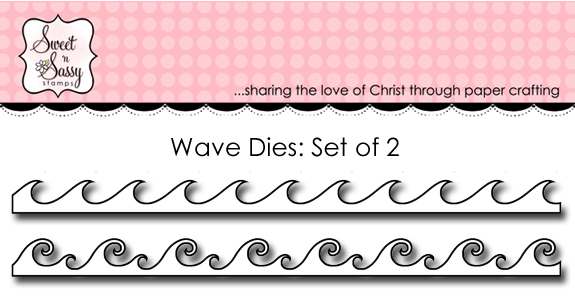 My last card features the darling Waves die set and since I love not too far from the beach, I simply had to go all beachy for this creation! 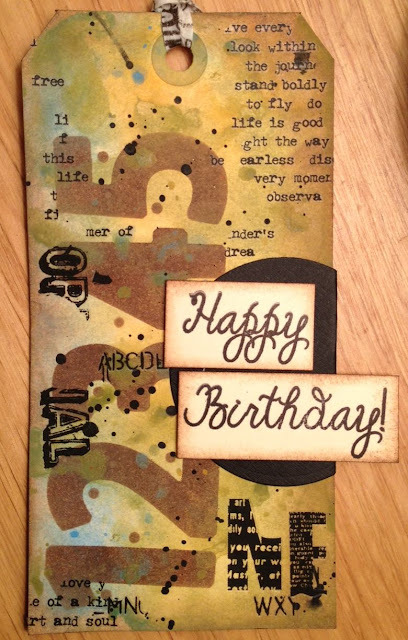 I started by using the Tiny Circles stencil and two different colors of Distress Ink to create a "sand" look. Then I die cut the waves out of a light and dark blue cardstock and attached them to the top of my beach. Those pretty shells are from the Beauty by the Sea stamp set and I stamped them on cardstock, cut them out, and edged them with Distress Ink before attaching with foam tape. I then die cut the clouds (I think I should have added some sun rays behind the clouds, right?) from the Clouds & Raindrops die set and attached them both with foam tape ('cause I love that stuff!) The sentiment, from the Head in the Clouds stamp set, was stamped on white cardstock and then the words were cut apart before attaching. That's it for me today! I hope you enjoyed the cards and now you can take a look at the entire sets, listed below, along with links to the rest of the design team's creations! 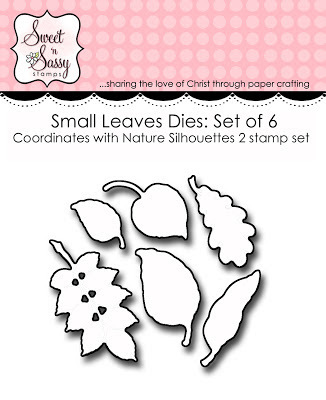 Check out these wonderful new dies! 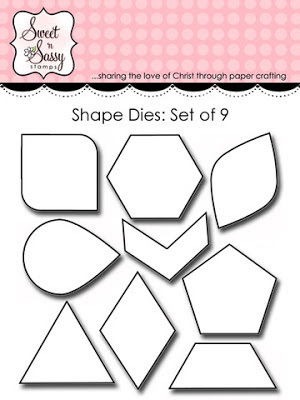 Largest die measures approximately 3/4" x 1 1/2"
Triangle side measures approximately 1 1/2"
How fun are they?! Wait till you see what the rest of the DT did with them!! Greetings and welcome back! Believe it or not I'm posting for the fourth day in a row...it has to be a record! LOL! The truth is, I have a ton of projects that I need to post and as much as I felt like just relaxing tonight, I couldn't wait to share my latest project and latest product love...Ferro! Ferro is an amazing product, produced by Viva Decor, that is a type of very thick paste with a coarse texture. You can use it on any surface (even outdoor surfaces!) and it works with paper, stencils, on walls, glass and plastic...it's the perfect material! And it comes with this stunning shimmer...not too much, just enough to add some pizazz! For today's project, I have a few photos to share but there is also a video at the end of the post...so let's get started! 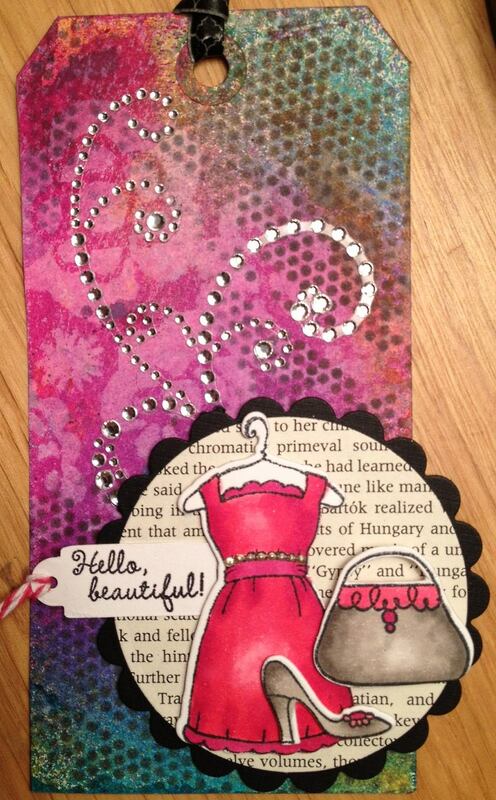 I began making my tag by die cutting a dress form shape from Tim Holtz's Alterations collection. I cut the shape out of chipboard and designer paper. I then took a bit of the Graphite Ferro, placed it on my non-stick craft sheet, and watered it down. Once the Ferro was well mixed, I used a brush to brush a thin coat on the top of the paper dress, see photo below. You can just see that light shimmer...so pretty! I could stop there and just decorate the dress but I wanted to use a stencil so I pulled out the new Quartrefoil stencil! This time I used the Ferro full strength and applied it through the stencil. Check out the amazing results! To decorate my tag I used Dylusions Ink Sprays, a few stencils, and some paint splats. I then stamped a sentiment, from the Way with Words stamp set, on to a manila tag, cut the words apart, and attached it to the tag. Want to see more? Check out my video below, along with links to all of the products! Enjoy! It's the last day of the Sweet 'n Sassy release week celebration! Have you been having a great time? 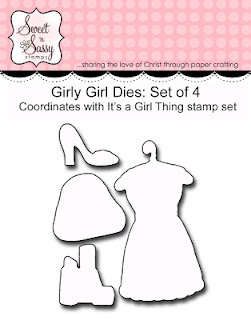 I always love seeing all of the designs shared by our talented design team...and the new stamps and die...fab.u.lous! 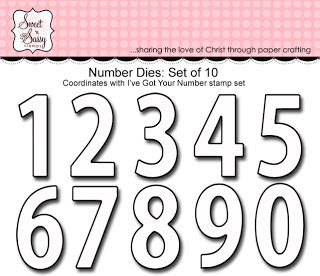 Today we're showcasing projects with the I've Got Your Number stamp set and coordinating dies. And I have kind of a different project to share with you today...so come on along to see what I came up with using the dies! I created my own stencil! This isn't what I had in mind when I first opened the stamp and die sets (and I'll share the other project with you in a few days) but inspiration struck when I cut out the numbers. Since I'm not always sure what I want to create when I receive new dies, I keep them all connected (you can separate all of the die pieces so you can run them through your die cutting machine one at a time) initially and ran the entire set through the Vagabond. 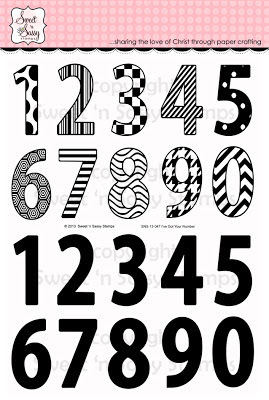 As soon as the numbers popped out of the cardstock, I thought, "I need to use this as a stencil!" I loved the look of the numbers and the tiny circle cut outs (from the holes where you can punch out the paper, if necessary). I grabbed a tag that I had sitting on my desk...one that was in progress...along with Gathered Twigs Distress Ink and used my new stencil to add the numbers to the tag...LOVE!! Isn't that brown so great with the background colors of the tag? (Well...if you're in the earth tones, like someone I know...) Then I just added some Remnant Rubs, paint splats, and a sentiment (from the Birthday Bash set). Check out the full sets (look at those wonderful designed numbers!) below, along with links to the rest of the DT's projects and prize details! Greetings and welcome to day three of the Sweet 'n Sassy release week celebration! Today we're introducing the second Flower Blocks stamp set series, Flower Blocks 2. 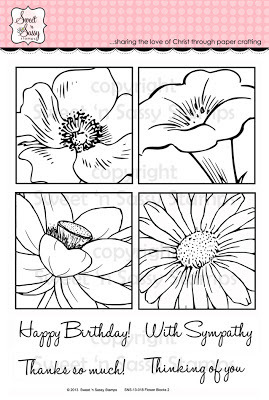 I adore these designs...big, bold, beautiful floral patterns that are perfect for coloring, painting, or paper piecing. Use a portion of the image or the whole thing...lots of options with this set! I opted for stamping the entire flower on white cardstock and then coloring with Copics. I then paired the image with pale yellow paper, a bit of texture, banners, and some bling. Easy peasy card and just perfect for a friend! Check out the full set below and details on the prize drawing! There are also links to the other design team creations! Enjoy! 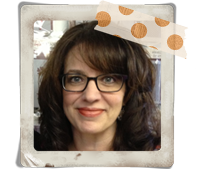 Welcome to the June Sweet 'n Sassy release week celebration! We have so much in store for you this week...tons of amazing new stamps, coordinating dies, great designs, and prizes! What's not to love!! I started by first die cutting the shapes and then stamping the images in Memento Black Ink. (You need a waterproof ink if you're going to color with Copics). I then colored the images with Copic makers, piled everything onto a die cut circle, and attached the piece to my tag. The sentiment was stamped on another mini tag and tied with twine. 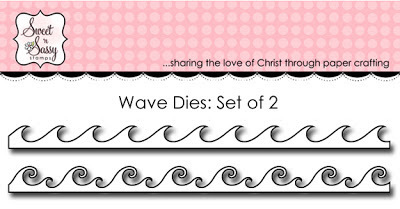 Check out the entire set and die set below! 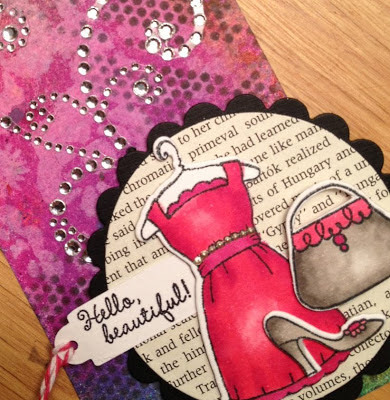 My second project is of the very first art journal page that I really loved. 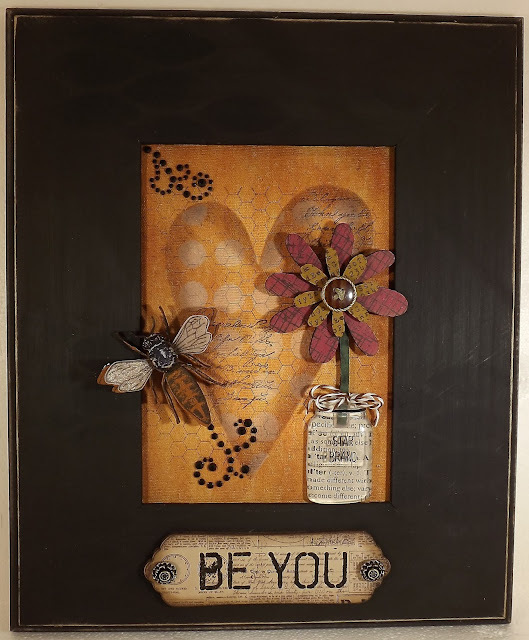 Mixed media and art journaling was completely foreign to me when I bought the store but our customers were hard pressed to get their hands on good mixed media products (and I don't blame them!) Since I knew it would be difficult to endorse products I hadn't personally used, I knew I had to start investigating this new medium. It took some time for me to really get comfortable but the more I played with products, the more I got it, and now that I have it, I don't want to stop! Art journaling is truly an inspiring and exciting form of art. I love all of the variety, I love how free form it can be, and I love how vastly different one person's can work look from another's...it's just a blast! Ahhh...a card...that form that is so familiar to me...This was one of the first cards I created for the Splitcoaststampers Clean and Simple design team. I tried out for that team so many times...maybe six, over a two or three year period. Seriously, when someone told me about trying out again I thought, "I'm done...no way am I trying again, I'm all over the making it almost to the end and then not getting picked thing..." And I had just bought the store..."no time!" I said. But...I did it...I tried out...just one more time. I made it...It really was pretty darn exciting and I'm so glad that I gave it one more try and didn't give up. Great time and a great time striving to stay with clean and simple designs...it's not as easy as it looks! 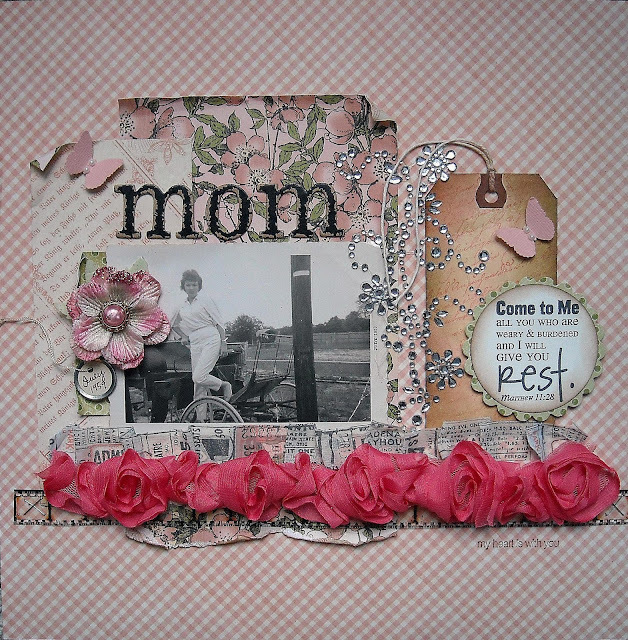 Scrapbooking...never something that interested me and then I 1) got picked to be on a design team where they wanted me to create scrapbook pages and 2) I started to work at a scrapbook store so...I thought I'd give it a try! While I'll probably never be a full blown scrapbooker, even though I think it's an amazing art form and fabulous way to document your life, I do have just a hand full of pages that I really love and this is one of them...and it's of my mom, which is super special to me as she passed away when I was quite young. This one is a keeper...and it uses special paper from Graphic 45...Bonus! Another first...starting to combine some of the mixed media techniques I've learned with stamping and with a clean and simple design. How perfect...the best of all worlds! This is a gesso resist technique combined with beautiful silhouette stamps from Sweet 'n Sassy. The bright colors against the pure white background is perfect and this is one of my all time favorite types of cards to create...clean lines, dark images, and just a hint of grunge. Divine! 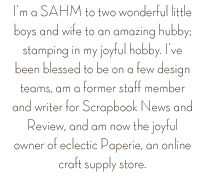 Be sure to leave a comment on this blog post and those blogs listed below for an opportunity to win a product prize package from eclectic Paperie!